Poland Township Gas Aggregation Program is with I.G.S. Energy of Dublin, Ohio. The current rate is 3.34 MCF and this rate is valid through October 2019. Any Poland resident may participate in this program by calling I.G.S. Energy at 1-877-353-0162 week days from 8:00 am to 8:00 pm EST. Poland Township Electric Aggregation Program is with First Energy Solutions; the current rate is 5.14 cents per kWh and is valid until May 2021. Any resident may participate in the aggression program by calling First Energy Solutions at 1-866-636-3749, Monday through Friday, 8:00 am to 5:00 pm. Poland Township’s water is supplied by Aqua of Ohio. The cost is based on consumption, currently small user (2 people) pay approx. $23.91 per month, and larger user (4 people) pay approx. $45.64 per month. Any resident may contact Aqua Ohio (customer service) at 1-877-987-2782. Aqua of Ohio business is located at 6650 South Avenue, Boardman, Ohio, 44512. 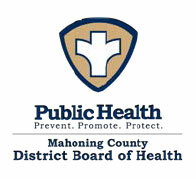 Poland Township’s Sewer Management is supplied by the Mahoning County Sanitary Engineers Department. Rates are based on consumption and reflect a cost based on water use, so price is similar. Any resident can contact the Mahoning County Sanitary Engineers office at 330-793-5514. Poland Township Cable is supplied by Armstrong Cable. Rates are based upon what services a customer chooses. To view services visit the website armstrongonewire.com. For television services call 1-877-277-5711 for internet and telephone call 1-877-486-4666. This is a public record. Any information you submit on this form is available for public review. The District Board of Health will not accept anonymous or unsigned complaints.